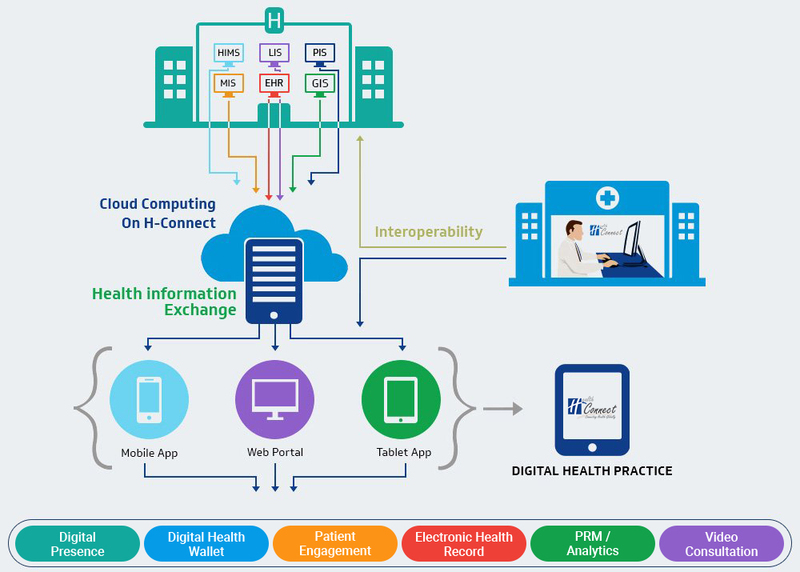 healthcare systems in organisation like HIMS, LIS, RIS etc and use H-Connect as patient health record system for better care of patients by providing them digital health wallet and utilising patient relationship and analytics tools for overall practice growth. In the vast medical field, each specialty offers different kinds of patient service, wherein every specialist has specific and unique needs. We understand that and provide customized solutions to meet your specialty's demands and needs. Integrates patient data across different health organizations or systems like HIMS, LIS or RIS or any clinical management system.